In order to turn the biogas into a substitute for natural gas, we need to remove the carbon dioxide (CO2) and the pollutants. Air Liquide has developed a technical solution that now allows biogas producers to efficiently turn it into biomethane using purification processes. 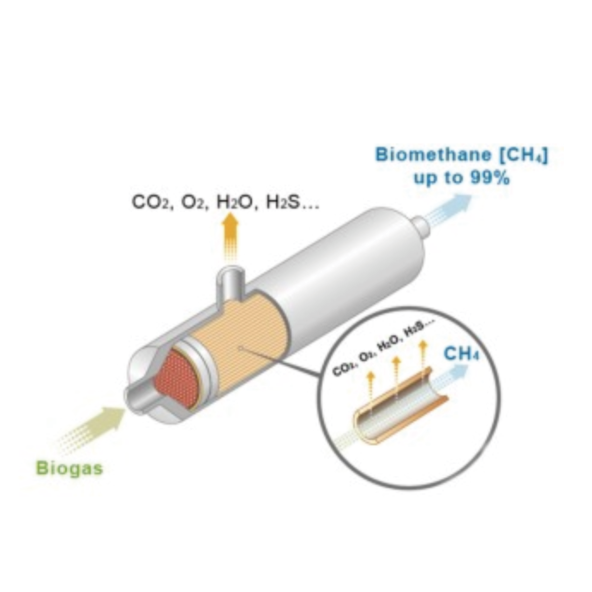 The technology used to separate the two main components of biogas – methane and carbon dioxide – is based on the use of polymer membranes produced by Air Liquide Advanced Separations (ALaS). This efficient system generates biomethane with a methane (CH4) content of between 96.5% and 99%, depending on its purpose. With its technical solution for biogas purification, Air Liquide takes charge of every stage of processing, from when it leaves the digester until it is injected into the gas network. For more than 50 years, innovation has been at the heart of the business at Air Liquide advanced Technologies. Squarely focused on the future, we strive to develop the savoir-faire of Air Liquide, the world leader in gases, technologies, and services for Industry and Health, in highly technology areas. Specialized in extreme cryogenics and gas engineering, we offer novel and competitive solutions for our customers. We approach each project globally, combining advice, solutions design, related services, and risk control. Thanks to our global presence, we can be closer to our customers, which allows us to anticipate and respond as quickly as possible to their needs. Design and fabrication of cryogenic equipment for launchers, orbital systems, and launch pads. Development of systems for generating and storing embarked gases. 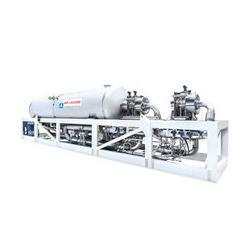 Development of systems for generating and storage onboard gases. Design and fabrication of cryogenic equipment for laboratories, research centers and R&D departments in industry. Development of systems for the production and analysis of pure gases, the treatment of gaseous effluents, and temperature regulation. Visit the Website of Air Liquide for more information!